4:17 pm BASELINE RD Fire Call - Carbon Monoxide Investigation. Five patients evaluated and owner referred to National Fuel for a defective furnace. 5:02 p.m. - LONG RD - Fire Call - Meat on the stove. 8:04 a.m. - BASELINE RD - First Aid - Assist only. 8:24 a.m. - FIX RD - First Aid - Assist only. 7:07 p.m. - PARK PL - Fire Call - Assist citizens with control of utilities. 5:11 p.m. - ORCHARD RD - Fire Call - Assist citizens with control of utilities. 3:20 p.m. - EAST RIVER RD - HazMat Call - Large natural gas leak. Controlled & referred to National Fuel. 2:07 a.m. - BASELINE RD - First Aid - Police emergency stand-by. 7:02 a.m. - WHITEHAVEN RD - Fire Call - Good Intent. Diesel engine start up mistaken for structure fire. 9 :06 BASELINE RD - Fire Call - Mutual aid to City of Tonawanda. Cancelled prior to departure. 3 :18 p.m. -BASELINE RD - Fire Call - Detector malfunction. 9:09 a.m. - FIX RD - Rescue Call - Car struck a house. No injuries. 3:36 p.m. - WEST RIVER RD - Fire Call - Assist citizens with control of utilities. 5:26 p.m. - TRAILS END - Fire Call - Investigated and advised citizens regarding nuisance burning. 10:00 a.m. - HARVEY RD - Fire Call - Assist citizens with control of utilities. 4:15 p.m. - BASELINE RD - First Aid - Police emergency stand-by. 11:31 a.m. - WEST RIVER RD - Special Opeerations Response - Reported watercraft in distress. Gone on arrival. 12:22 p.m. -WARD PARK RD - Fire Call - $300 damage from stucture fire cause by careless smoking. 1:18 p.m. - LASALLE AV - Fire Call - Investigated and advised citizens regarding nuisance burning. 9:54 a.m. - BASELINE RD - Fire Call - Assist citizens with control of utilities. 11:43 a.m. - LASALLE AV - First Aid - Assist only. 2:13 p.m. - WEST PARK CT - Officer Call - Investigate furnace odor. 4:42 p.m. - GRAND ISLAND BLVD - Fire Call - Investigated and advised citizens regarding nuisance burning. 8:53 p.m. - BASELINE RD - Fire Call - Extinguish controlled burn. 8:57 a.m. - WINKLER DR - Fire Call - Assist citizens with control of utilities. 8:18 p.m. - CONTINENTAL LN - Fire Call - Assist citizens with control of utilities. 9:40 a.m. - WEST RIVER RD - First Aid - Motor vehicle accident. No injuries. 7:41 a.m. - BEDELL RD - Stand By - Standby for 5k race. 9:42 p.m - EAST RIVER RD - Fire Call - Assist citizens with control of utilities. 6:25 p.m - WEST RIVER RD - Fire Call - $100,000 damage from residential structure fire caused by electrical problem. 10:46 p.m - EAST RIVER RD - Fire Call - Assist citizens with control of utilities. 6:15 p.m - JAMES ST - Fire Call - Mutual Aid to the City of Tonawanda Fire Department. 12:54 p.m - TOWN HALL TERR - First Aid - Assist only. 1:43 a.m. - EAST RIVER RD - Fire Call - Reported odor of natural gas. Unable to locate. 4:48 p.m. - WEST RIVER RD - First Aid - Assist only. 6:27 p.m. - BASELINE RD - First Aid - Assist only. 10:05 a.m. - BASELINE RD - First Aid - Assist only. 5:36 p.m. - TRAILS END - Officer Call - Smoke investigation. Referred back to patrol. 7:28 p.m. - EAST PARK RD - Fire Call - Assist citizens with control of utilities. 7:37 p.m. - WARD PARK RD - Fire Call - Assist citizens with control of utilities. 8:36 p.m. - BEAVER ISLAND PKWY - Special Operations - Assist with traffic control. 7:28 a.m. - BASELINE RD - First Aid - Assist only. 4:09 p.m. - WEST RIVER RD - Fire Call - Investigated and advised citizens regarding nuisance burning. 09:20 a.m. - HUTH RD - Stand By - Fire prevention detail. 3:25 p.m. - WHITEHAVEN RD - First Aid - Evaluated 68+ passengers from a 2-school bus accident. No injuries found. 6:03 p.m. - HARVEY RD - First Aid - Assist only. 12:54 p.m. - BASELINE RD - Stand By - Fire prevention detail. 9:35 a.m. - LOVE RD - Stand By - Fire prevention detail. 8:22 a.m. - RANSOM RD - Fire Call - Assist citizens with control of utilities. 1:50 p.m. - BEDELL RD - Fire Call - Assist citizens with control of utilities. Referred to Time-Warner. 9:54 a.m. - RANSOM RD - Stand By - Vikings Football! 11:24 a.m. - GRAND ISLAND BLVD - Stand By - "Taste of Grand Island"
10:03 a.m. - RANSOM RD - Stand By - Vikings Football! 8:17 p.m. - MARLIN RD - Fire Call - Assist citizens with control of utilities. 10:19 a.m. - WEST RIVER RD - First Aid - Assist only. 12:54 p.m. - LOVE RD - Fire Call - Meat on the stove. 9:55 a.m. - RANSOM RD - Stand By - Vikings football! 2:47 p.m. - BASELINE RD - First Aid - Police emergency stand-by. No services rendered. 2:11 a.m. - BASELINE RD - Special Operations - Assist Patrol with traffic control. 4:41 p.m. - HAVENWOOD LN - Fire Call - Assist citizens with control of utilities. 9:53 a.m. - RANSOM RD - Stand By - Vikings Football! 5:04 a.m. - EAST RIVER RD - First Aid - Assist only. 6:27 p.m. - BASELINE RD - Fire Call - Assist citizens with control of utilities. 10:14 p.m. - WEST RIVER RD - First Aid - Assist only. 2:00 a.m. - WALLACE DR - First Aid - Assist only. 2:15 p.m. - BEDELL RD - Fire Call - Assist citizens with control of utilities. 2:44 p.m. - ALT BLVD - Fire Call - Assist citizens with control of utilities. 6:27 p.m. - WHITEHAVEN RD - Fire Call - Assist citizens with control of utilities. Referred to Time-Warner. 2:35 p.m. - BASELINE RD - First Aid - Police emergency stand-by. 6:35 p.m. - RANSOM RD - Stand by - Homecoming event standby. 6:46 p.m. - BASELINE RD - Fire Call - Meat on the stove. 1:16 p.m. - RANSOM RD - Stand By - Vikings Football! 11:16 p.m. - PIN OAK CR - First Aid - Assist only. 5:01 p.m. - MAJESTIC WOODS DR - Fire Call - Chimney fire. Out on arrival. 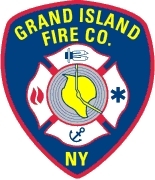 9:27 p.m. - GRAND ISLAND BLVD - Fire Call - Smoke in the area. Good intent. 2:04 p.m. - BASELINE RD - First Aid - Police emergency stand-by. 1:49 a.m. - BASELINE RD - Fire Call - Investigate odor of natural gas.
) 9:41 a.m. - EAST RIVER RD - Fire Call - Assist citizens with control of utilities and assist patrol with traffic control. 10:17 a.m. - EAST RIVER RD - Stand By - Antique boat show. 1:42 p.m. - RANSOM RD - Stand by - Vikings Football! 5:02 p.m. - WATERFORD PK - Fire Call - Assist citizens with control of utilities. 7:39 a.m. - BASELINE RD - First Aid - Assist only. 2:53 p.m. - THRUWAY SOUTH - First Aid - Trauma call. 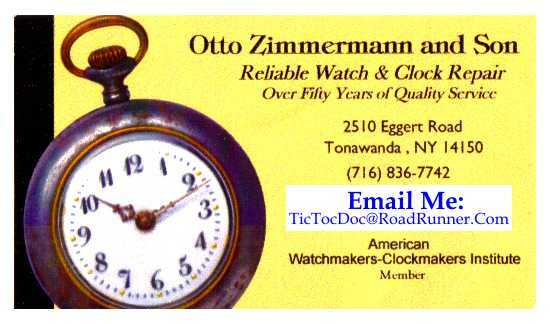 4:16 p.m. - THRUWAY NORTH - Fire Call - Good intent. 5:41 p.m. - SHERIDAN DR - Fire Call - Provide manpower, equipment and special operations units for a Tonawanda grass fire. 7:19 a.m. - BASELINE RD - Fire Call - Mutual aid response. Cancelled prior to response. 4:00 a.m. - BASELINE RD - First Aid - Police emergency stand-by. No services rendered. 8:19 p.m. - BASELINE RD - Fire Call - Assist citizens with control of utilities. 11:17 a.m. - WHITEHAVEN RD - First Aid - Assist only. 8:11 a.m. - BASELINE RD - First Aid - Assist only. 11:07 p.m. - THRUWAY SOUTH - First Aid - Assist only. 3:06 p.m. - BUSH RD - First Aid - Five patients treated and transported by ambulance and Mercy Flight from car v. tractor trailer accident. 7:15 a.m. - WEST OAKFIELD RD - Stand By - Standby for Triathlon event. 9:46 PIN OAK CR Fire Call - Meat on the stove. rst Aid - Medical call. 10:06 p.m. - BROADWAY . - Fire Call - Assist citizens with control of utilities. 10:28 p.m. -TIMBERLINK DR. - Fire Call - Assist citizens with control of utilities. 8:43 p.m. - WOODSTREAM DR . - Officer Call - Assist citizens with control of utilities. 9:41 a.m. - GRAND ISLAND BLVD. - Fire Call - Assist citizens with control of utilities. 1:21 p.m. - GRAND ISLAND BLVD . - Fire Call - Assist citizens with control of utilities. 11:31 a.m. - BASELINE RD . - Fire Call - Meat on the stove. 10:07 p.m. - BEDELL RD. - Fire Call - Assist citizens with control of utilities. 4:58 p.m. - EAST PARK RD - Fire Call - Assist citizens with control of utilities. 7:21 p.m. - THRUWAY NORTH - First Aid - Six patients treated and 2 transported from motor vehicle accident. 1:36 p.m. - FIELDSTONE DR - Fire Call - Assist citizens with control of utilities. 9:24 p.m. - WEST RIVER RD - Fire Call - Assist citizens with control of utilities. 5:10 p.m. - BISHOPS GATE - Fire Call - Unattended construction fire. 1:15 p.m. - TOWN HALL TERR - Fire Call - Investigate mulch fire reported as extinguished. 10:01 a.m. - EAST RIVER RD - Stand By - Lions' Club picnic. 3:38 p.m. - BASELINE RD - First Aid - Head on collision. 3 Patients evaluated and refused transport. 12:12 a.m. - FAREWAY LN - Fire Call - Assist citizens with control of utilities. 1:40 p.m. - LOVE RD - Fire Call - Assist citizens with control of utilities. 10:40 a.m. - HARVEY RD - Fire Call - Car fire. Out on arrival. Overhaul and investigated. 6:49 p.m. - TOWN HALL TERR - Fire Call - Meat on the stove. 8:54 p.m. - STALEY RD - Fire Call - Unattended bon fire. 6:27 p.m. - MELROSE RD - Fire Call - Meat on the stove. 2:24 p.m. - STALEY RD - Fire Call - Brush fire. Unable to locate. 3:13 p.m. - BASELINE RD - First Aid - Accidental alarm. Avoidable. 1:30 p.m. - WEST OAKFIELD RD - Fire Call - Meat on the stove. 9:11 a.m. - STONY POINT RD - Fire Call - Reported ill woman found to be eating breakfast. 9:44 p.m. - BASELINE RD - First Aid - Assist only. 10:50 a.m. - WHITEHAVEN RD - Fire Call - $35,000 damage from fire in a hotel room. 12:24 p.m. - WEST OAKFIELD RD - First Aid - Personal watercraft in distress. Rescue services not needed. 9:59 a.m. - TIMBERLINK DR - Fire Call - Assist citizens with control of utilities. 2:03 p.m. - WHITEHAVEN RD - First Aid - Alarm malfunction. 6:16 p.m. - BROADWAY - Fire Call - Garage fire with extension to main residence and exposure damage to adjoining residences. 3:20 p.m. - MARILYN DR - First Aid - Assist only. 10:06 a.m. - EAST PARK RD - Fire Call - Odor of natural gas referred to National Fuel. 8:32 a.m. - BASELINE RD - Fire Call - Gas leak near residence. 10:18 a.m. - THRUWAY SOUTH - First Aid - 3caar accident with 5 patients. 2 patients transported to hospital by ambulance. 11:43 a.m. - WEST RIVER RD - Stand By - Lawnmower race standby. 12:52 a.m. - GRAND ISLAND BLVD - Fire Call - Meat on the stove. 8:10 a.m. - STONY POINT RD - First Aid - Police emergency stand-by. No services rendered. 8:07 a.m. - SAWMILL RUN - Officer's Call - Assist citizens with alarm malfunction. 5:55 p.m. - GRAND ISLAND BLVD - First Aid - Reported motorcycle accident was in Tonawanda. 4:14 a.m. - TOWN HALL TERR - First Aid - Assist only. 7:24 p.m. - EAST RIVER RD - Fire Call - Assist citizens with control of utilities. 4:25 p.m. - HUTH RD - First Aid - Trauma call. 17 patients triaged and 1 patient transported after a ca/bus MVA. 12:21 p.m. - LONG RD - First Aid - Assist only. 6:04 p.m. - STALEY RD - First Aid - Assist only. 5:36 p.m. - THRUWAY NORTH - Fire Call - A reported bus fire was a mechanical failure. 7:14 p.m. - RIVERWOODS DR - Fire Call - Controlled burn. 12:47 p.m. - BEDELL RD - Fire Call - Investigated and advised citizens regarding nuisance burning. 3:39 p.m. - EAST RIVER RD - Fire Call - Investigated and advised citizens regarding nuisance burning. 6:09 p.m. - TOWN HALL TERR - First Aid Assist only. 10:43 a.m. - EAST RIVER RD - Fire Call - Odor of smoke. Nothing found. 12 23:19 p.m. - MONICA RD - Fire Call - Meat on the stove. 4:14 p.m. - BEDELL RD - First Aid - Trauma call. 5:00 p.m. - BASELINE RD - First Aid - Police emergency stand-by. 10:16 a.m. - TOWN HALL TERR - First Aid - Assist only. 10:31 a.m. - WEST RIVER RD - First Aid - Assist only. 3:51 p.m. - THRUWAY NORTH - First Aid - Reported auto accident w/ injuries. No injuries found. 7:07 p.m. - BEDELL RD - First Aid - Medical call. 7:50 p.m. - EAST PARK RD - First Aid - Assist only. 3:59 a.m. - EAST RIVER RD - Fire Call - Roll over accident. No patients found. 5:24 p.m. - STONY POINT RD - Fire Call - Grill fire. 5:41 p.m. - WHITEHAVEN RD - First Aid - 3 patients treated after a roll-over accident. 1:18 p.m. - FAIRVIEW CT - Rescue Call - Dog removed from dryer vent. 5:24 CONTINENTAL LN - Fire Call - Meat on the stove. 6:16 p.m. - ROYAL OAK CR - Fire Call - Meat on the stove. 12:09 a.m. - WHITEHAVEN RD - Fire Call - 2 persons trapped in an elevator, self extricated prior to arrival. 8:25 p.m. - MARJORIE DR - Fire Call - Reported structure fire found to be controlled burning. 8:52 a.m. - STONY POINT RD - First Aid - Assist only. 3:09 p.m. - BEDELL RD - Fire Call - Noxious odor traced to painting activities. 3:07 p.m. - STONY POINT RD - First Aid - Police emergency stand-by. 1:15 a.m. - CARDINAL LN - First Aid - Assist only. 3:23 a.m. - CARDINAL LN - First Aid - Assist only. 2:36 p.m. - RIVERDALE DR - Fire Call - Investigate reported gas leak. Refer to National Fuel. 10:57 COLONIAL DR - First Aid - Assist only. 6:07 p.m. - WHITEHAVEN RD - Fire Call - Alarm malfunction. Avoidable. 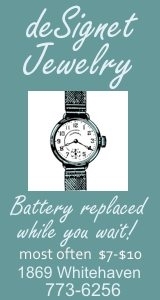 9:15 a.m. - BASELINE RD - First Aid - Accidental medical alarm. Avoidable. 4:14 p.m. - LONG RD Fire Call - Meat on the stove. 4:25 p.m. - BUCKHORN STATE PARK - Fire Call - Fire officer investigated buring stump. No hazard. 11:22 a.m. - WEST OAKFIELD RD - Marine call - Marine unit response and medical call. 3:26 p.m. - STALEY RD - Fire Call - Accidental fire alarm. Avoidable. 4:22 p.m. - WHITEHAVEN RD - Fire Call - Accidental fire alarm. Avoidable. 5:58 p.m. - BASELINE RD - Fire Call - Fire caused by oily rags caused $20,000 damage to parking structure & contents. Fire Call - Carbon Monoxide Investigation. Greater than 800 parts per million. Evacuated, ventilated & referred to National Fuel. 7:09 a.m. - BASELINE RD - Fire Call - Investigation of wires down found to be cable television lines. 9:16 a.m. - BASELINE RD - Fire Call - Elevator rescue. Operator errors resolved prior to arrival of fire units. 9:39 a.m. - BASELINE RD - First Aid - Assist only. 4:58 p.m. - BEDELL RD - First Aid - Good intent. No injury or illness detected. 11:25 a.m. - STONY POINT RD - First Aid - Property damage only accident. 5:02 p.m. - BUSH RD - Fire Call - Traffic hazard caused by downed tree and live power lines. 2:22 p.m. - STEEG RD - Special Operations - Marine unit response. Good intent. 4:10 p.m. - WHITEHAVEN RD p.m. - First Aid - 8 patients treated, 2 patients transported and a significant natual gas leak was controlled following a motor vehicle accident. 5:24 p.m. - RANSOM RD - Fire Call - Meat on the stove. 1/30/2012 12:46 p.m. - BASELINE RD First Aid - Assist only. 2:40 p.m. - FIRST ST - Fire Call - Smoke scare. No hazard. 10:17 a.m. - HAVENWOOD LN - First Aid - Assist only. 12:45 p.m. - SIXTH ST - Fire Call - Meat on the stove. 4:45 p.m. - FIX RD - First Aid - Six patients from motor vehicle accident evaluated by squad. 4:27 a.m. - EAST RIVER RD - Fire Call - Strange odor in residence traced to skunk activity. 9:41 a.m. - WEST RIVER RD - First Aid - Assist only. 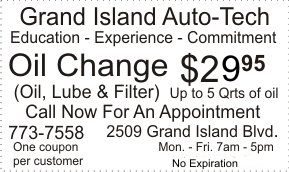 12:14 p.m. - GRAND ISLAND BLVD - First Aid - Motor vehicle accident. No Injury. 10:10 a.m. - WHITEHAVEN RD - Fire Call - Meat on the stove. 9:25 a.m. - REDWAY RD - First Aid - Assist only. 12:20 a.m. - BRANDYWINE DR - Fire Call - Assist citizens with control of utilities. 10:28 a.m. - GRAND ISLAND BLVD - Fire Call - Meat on the stove. 7:28 a.m. - SECOND ST - First Aid - Accidental alarm. Avoidable. 11:34 a.m. - LONG RD - Fire Call - Good intent. 11:44 a.m. - BEDELL RD - Fire Call - $100 damage fire in apartment building. 3:10 p.m. - THRUWAY SOUTH - First Aid - Motor vehicle accident. Investigation revealed a Buffalo location. 4:34 a.m. - EAST RIVER RD - First Aid - Reported car in the water; No emergency situations found. 9:16 a.m. - COUNTRYSIDE LN - First Aid - Assist only. 2:37 p.m. - STALEY RD - Fire Call - Assist citizens with control of utilities. 5:45 p.m. - PARK PL - First Aid - Police emergency stand-by. 11:01 a.m. - EAST RIVER RD - Fire Call - Assist citizens with control of utilities & traffic control for wires down. 11:50 a.m. - WHITEHAVEN RD - Fire Call - Child locked in car. Out on arrival. 7:26 p.m. - TOWN HALL TERR - Fire Call - $300 damage to contents from an unattended cooking fire. 2:36 p.m. - CARTER DR - First Aid - Assist only. 12:06 p.m. - FIX RD - Fire Call - Assist citizens with control of utilities. 7:18 p.m. - BEDELL RD - Fire Call - Carbon Monoxide Investigation. 1 Patient transported to hospital by ambulance.